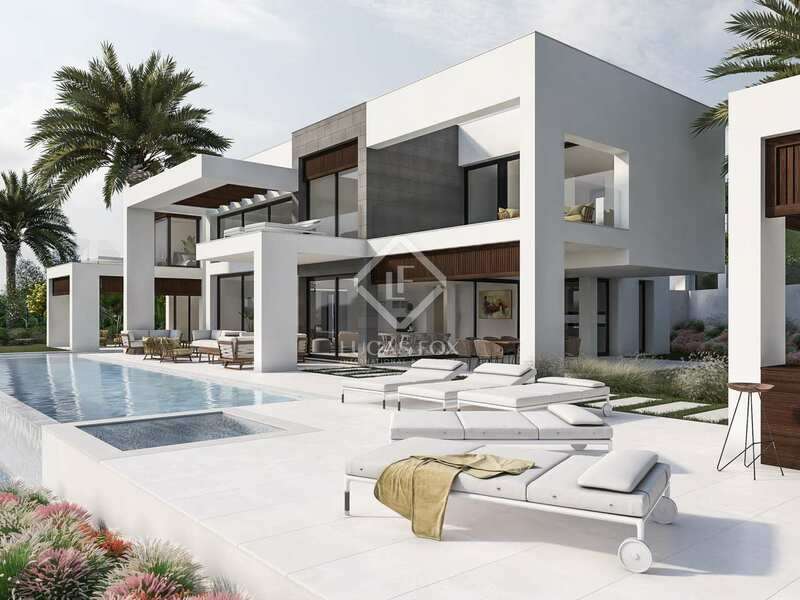 This luxury property under construction is being built in one of the most sought after areas in Nueva Andalucia, just 10 minutes from the glamorous Puerto Banus and 15 minutes from Marbella. 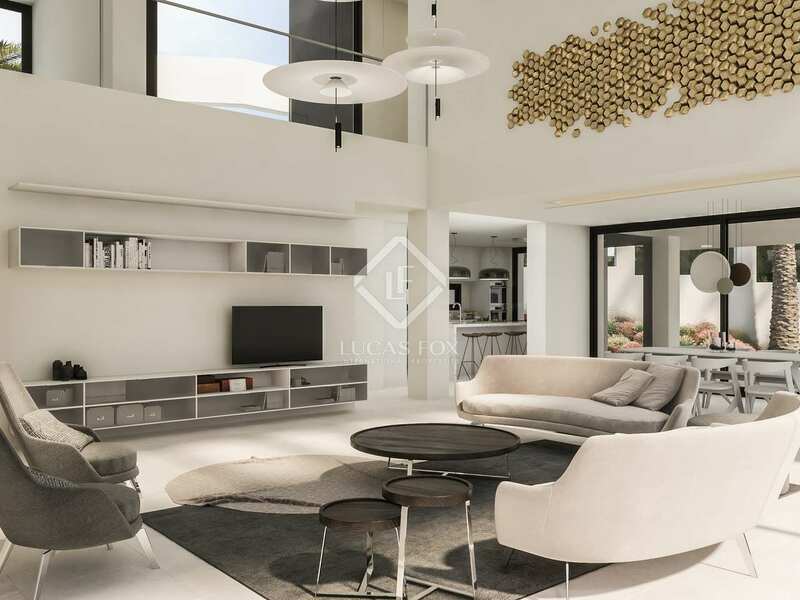 This state-of-the-art villa has combines stylish modern finishes with comfortable functional living. As with all the best designs it will benefit from large windows to maximise light and take advantage of the beautiful views towards the Mediterranean and Los Naranjos Golf course. 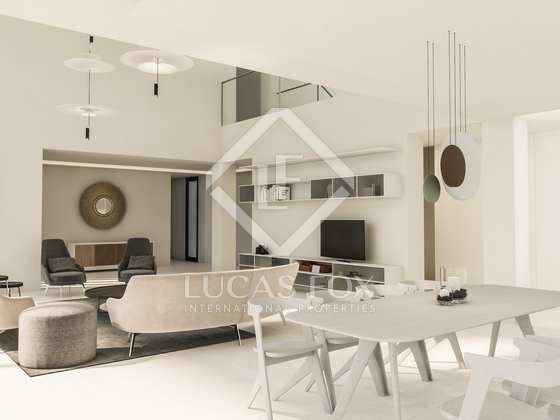 On the ground floor we find the entrance leading to the living room – dining room with access to the terrace and pool, as well as the kitchen with access to the outside dining area. A bathroom and bedroom with an ensuite bathroom, walk-in wardrobe and small private terrace completes this level of the villa. The first floor benefits from 3 bedrooms, all with ensuite bathrooms. 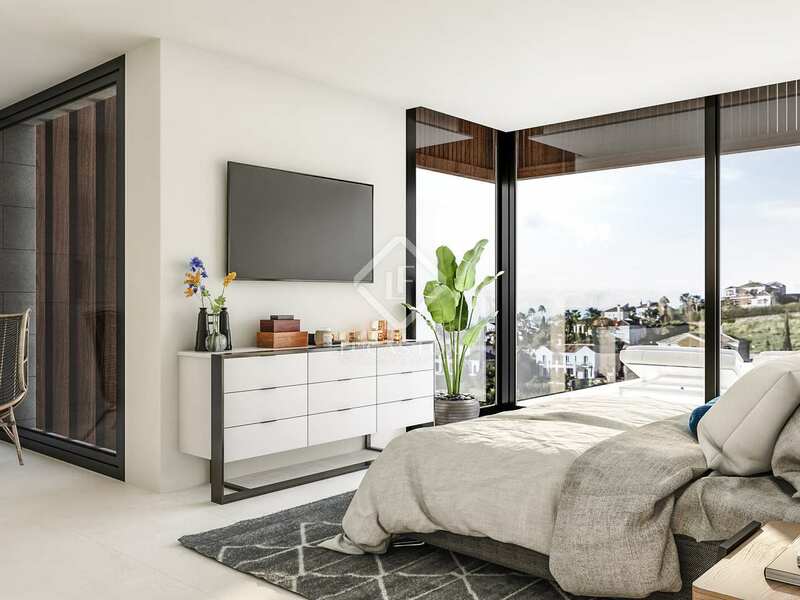 walk-in wardrobe areas, and access to private terraces. The basement has 2 bathrooms and space for bedroom, a utility room, gym and a home cinema. Parking spaces are provided for 2 or 3 cars. 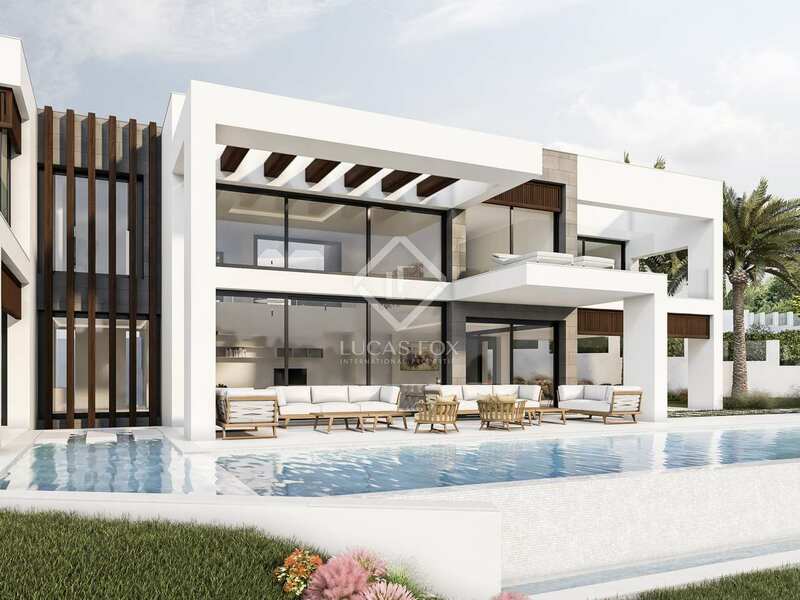 A unique opportunity to acquire this stunning brand new villa in the Golf Valley of Nueva Andalucia. 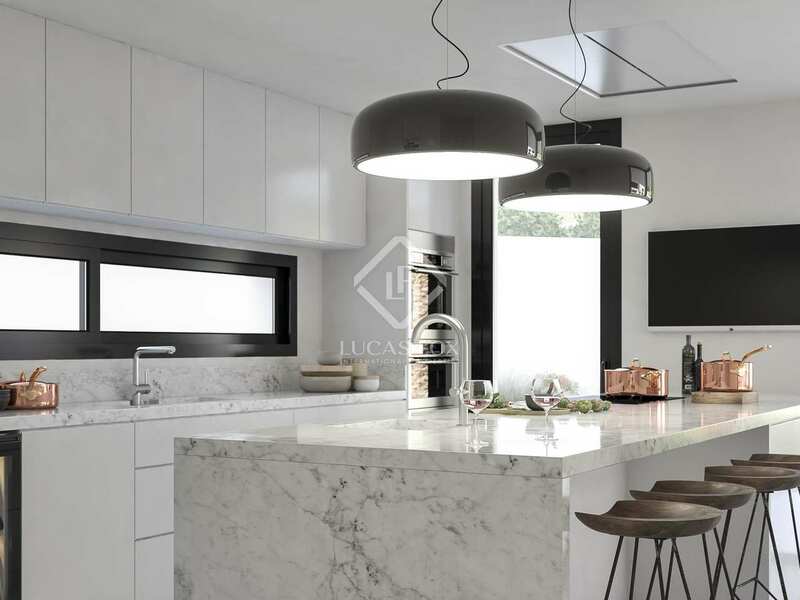 This spectacular luxury villa is located in the Golf Valley of Nueva Andalucia. 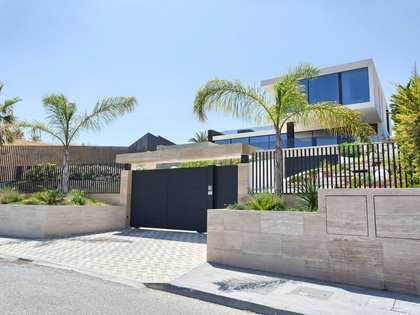 It is just 10 minutes to Puerto Banus, 15 minutes to Marbella and 40 minutes to Malaga Airport.